The word “hypochondria” was that one used most by doctors to describe my case. The term hypochondria, whether used in its popular sense or as a scientific term, refers to the excessive and unfounded preoccupation of a person with his/her health, with the conviction that any consultation with a doctor will bring to light a pathological condition. A person who suffers from hypochondria is called a hypochondriac, or in more common terms, “an imaginary invalid”. Taking a look however at the etymology of the term “hypochondria”, we can see that it derives from the Greek ὑποχόνδρια, composed of the suffix ὑπο= under and χόνδριος=cartilage of the costal diaphragm. 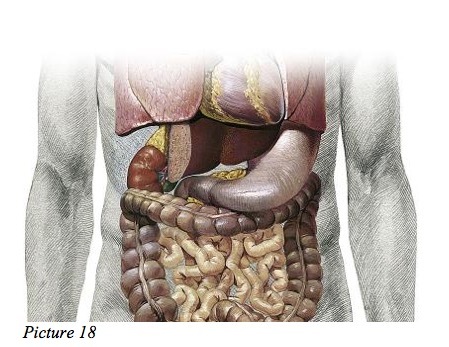 Such a term indicates an ailment known already in antiquity that was believed to be located in the abdominal area. The treatments of note were similar to those for stomach aches. In modern times, given that no physical cause for hypochondria was found, it was hypothesized that the only cause of this ailment could be related to psychological aspects. From these first analyses we can see that the Greeks were on the right path. In antiquity they had grasped that this illness did not have a psychological source, but a physical one! They had understood that the relationship of cause-and-effect was the other way around. It is the physical pathology which has repercussions on the psyche, and not the other way around. In a condition where a person has muscles, inner organs, bones and nerves that are compressed, one against the other, how would that fit in with a psychological point of view? It certainly wouldn’t fit in very well. These are physical conditions that create the psychological problems related to hypochondria. In a situation of this kind, the body limits itself to sending illness input. Thus it becomes absolutely natural to complain, given that the actual suffering has real physical origins, and not psychological ones. Yet with a condition of this kind the individual afflicted with such a pathology, held by the doctors to be the same as an imaginary invalid, will believe himself to be truly crazy. On the other hand it is not the doctors’ fault due to the fact that up to now there have been incomplete hypotheses put forward regarding the relationship between teeth and posture, creating mere confusion in this area. Thus on the part of the patients there should not be, as often happens, any resentment towards those doctors who are not able to identify the cause of such a condition. From the point of view of the patient, however, imagine for yourself the feeling of a nail that is tearing at your stomach, or the feeling of gasping for breath, or sudden palpitations, as well as stomach cramps. Imagine having these ailments for years, and that they keep coming back. What would happen to this person? Surely, he or she would fall into depression, into anxiety and stress. At this point the poor patient takes himself off to a psychologist, who will have to try to cure a mental illness which has physical origins and which can be cured only by biomechanical means. But it doesn’t finish there. Let’s continue with the interpretation of the term “hypochondriac” in its contemporary meaning. The preoccupation of the hypochondriac is caused by the obsessive observation of objective symptoms that find their origin in his own body (for example gastrointestinal problems, cardiac palpitations, or pains in the muscles.) Such a preoccupation persists even after a visit to the doctor, during which it is ascertained that such symptoms do not indicate any true pathology, or at least no pathology serious enough to justify the level of anxiety and fear of the hypochondriac. For this reason the hypochondriac is commonly considered to be an imaginary invalid. 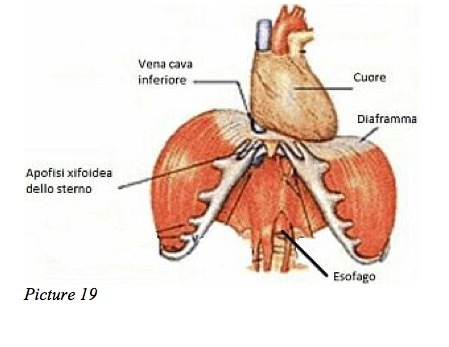 2) Instruments do not exist that are sophisticated enough to be able to measure internal muscular compression in the body relative to the intervertebral discs, nerves, blood vessels and internal organs. 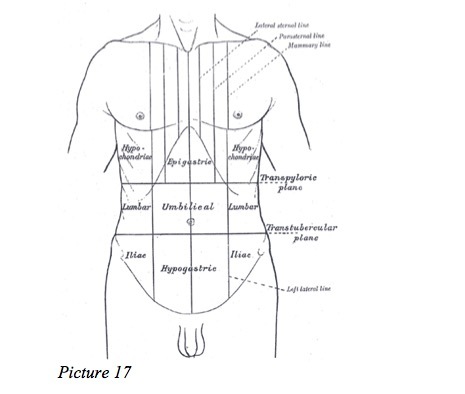 These compressions are caused by muscular asymmetry, by incorrect posture that is being compensated for. It is impossible to observe them scientifically. 3) An excessive degree of specialization into related disciplines leads to a loss of a view of the whole. For this reason, specialists tend to connect any symptoms with causes related to their own specialization. 4) Even today there are very few who truly know what causes problems of posture. 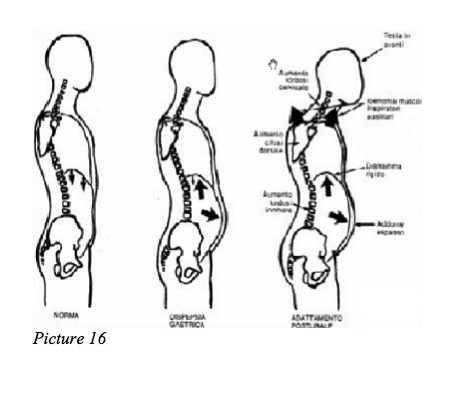 5) Even today the importance of posture in the general health of the organism is underestimated. In short, the individual who suffers from hypochondria has the absolute right to be considered a “real invalid” and should be given care by a doctor for the damages suffered to his body and by an expert in biomechanics to deal with the need for straightening. In fact, in the advanced stages of asymmetry he begins to undergo damage related to the organism itself. The hypochondriac patient presents with a precise set of symptoms: anxiety, gastrointestinal problems, palpitations, muscles pains, etc. To be sure, his worry regarding his own state of health is completely legitimate. As we have seen, it is totally justified, and it is no excessive reaction in regard to such disorders. On the other side it is not the doctor’s fault if he can’t identify the relationship between the symptoms and postural problems. It is not part of his specialization and lies outside his field of study. The hypochodrium is a region in the abdominal cavity comprised of the costal arches above and the hips below, and it extends to the epigastrium in the lateral superior position. There is a right hypochondrium in the lateral right upper quadrant and a left hypochondrium in the lateral left upper quadrant. To the right are found the liver, the gall bladder, the right colonic flexure (hepatic flexure) and a portion of the right kidney; in the left hypochondrium are found the greater curvature of the stomach, the spleen, part of the left kidney, the tail of pancreas and the splenic flexure of the colon. Therefore, for this reason, it is completely normal to have all the symptoms described previously. As we have already said, this pathology is not recognized as such by the doctors. Thus the individual afflicted with it frequently undergoes a Calvary that leads him to the practices of many specialists. These, incapable of identifying the true cause of hypochondria (musculoskeletal and therefore, organic), attribute it all to psychology. All of that is absurd. It reduces symptoms, disabling at times, to psychological causes without looking at the true correlation with those of a mechanical and postural type. An interesting fact: note the juxtaposition of the words “hypochondrium” and “hypochondriac.” This combination is due to the etymology of the word “hypochondrium” seen previously. We have also seen how just this word indicates a precise physical location in the abdominal cavity. Coincidentally, he who suffers from hypochondria is aware of symptoms precisely in this area due to the compressions and muscular compensation that occur in this location. This proves that the etymology of the word “hypochondriac” has not betrayed the true nature of the “physical” problems of those who suffer from it. This is merely an introduction to the example of the many pathological symptoms connected with problems of posture. These symptoms are not seen, are not recognized, as such and consequently are not treated properly. The result is that they have serious consequences. The topic of “hypochondria” will be developed further when we speak later of the lateral deviation of the jaw.